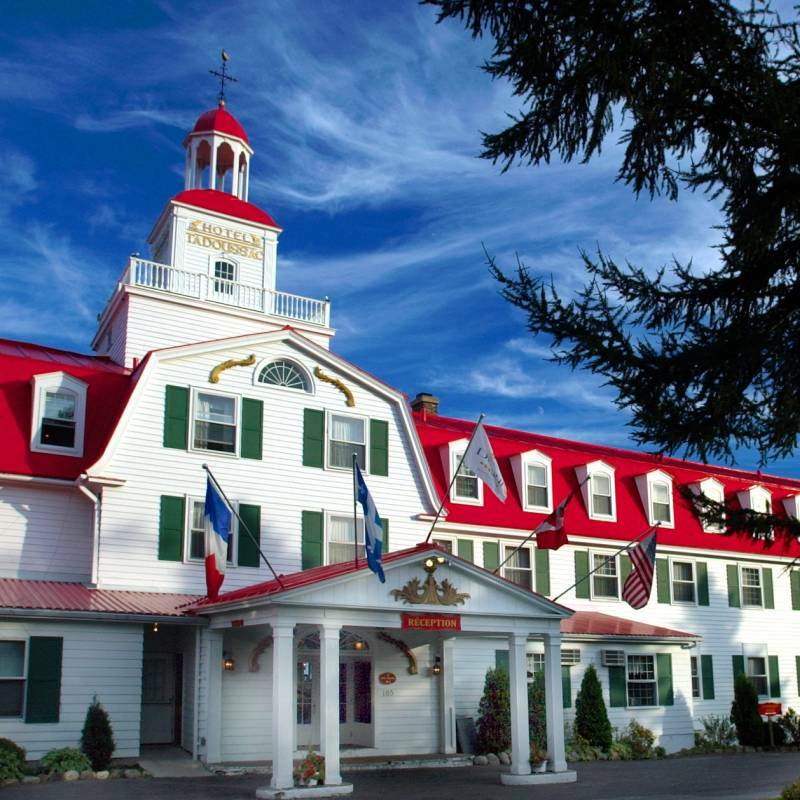 Hotel Tadoussac | Tadoussac, Quebec. 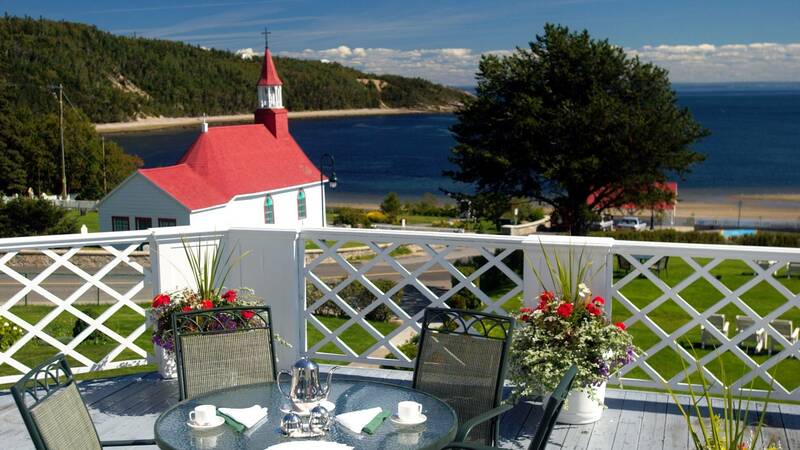 The Hotel Tadoussac is in the village of the same name on the edge of the St. Lawrence where it meets with the Saguenay Fjord. 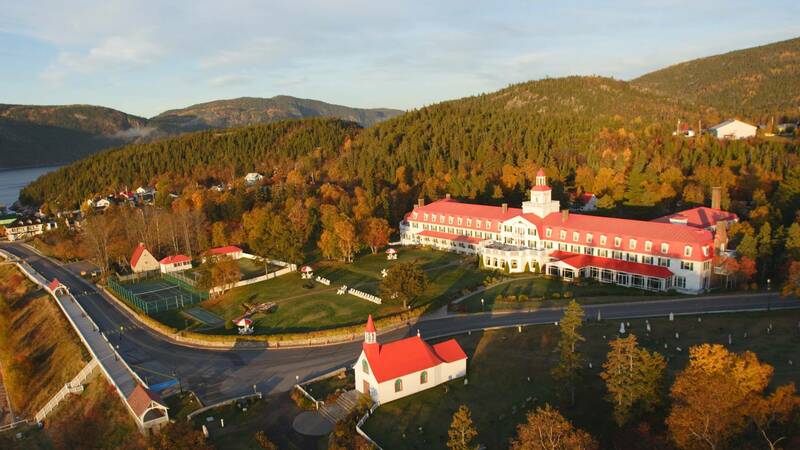 It is a distinctive red and white building set in gardens leading down to a sheltered beach and close to the excellent small museum. 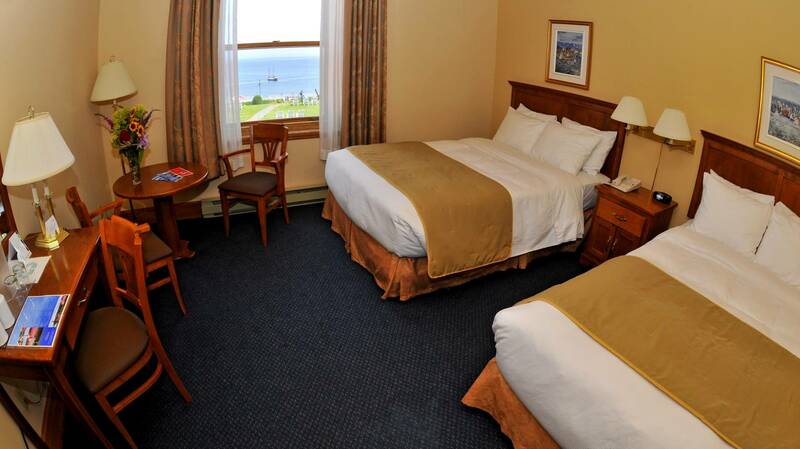 The fine, sandy beach is safe for children and the area offers fantastic whale watching during the summer. 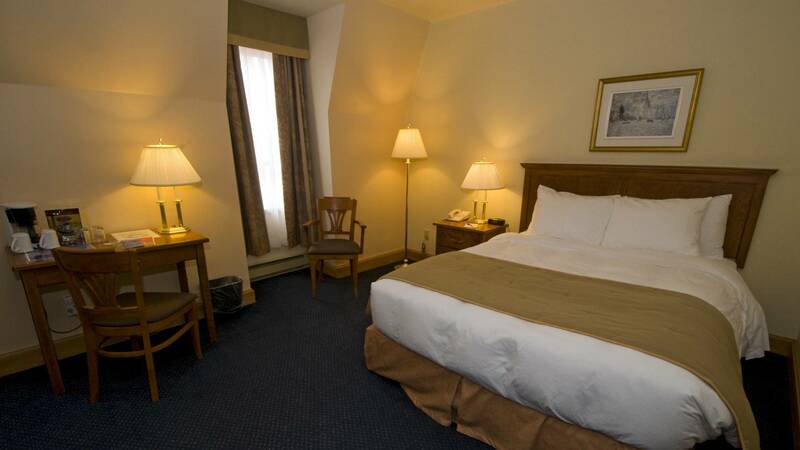 Bedrooms are simple with a queen bed; some of the larger ones have a sofa bed as well. Many overlook the water. The views and proximity to water.